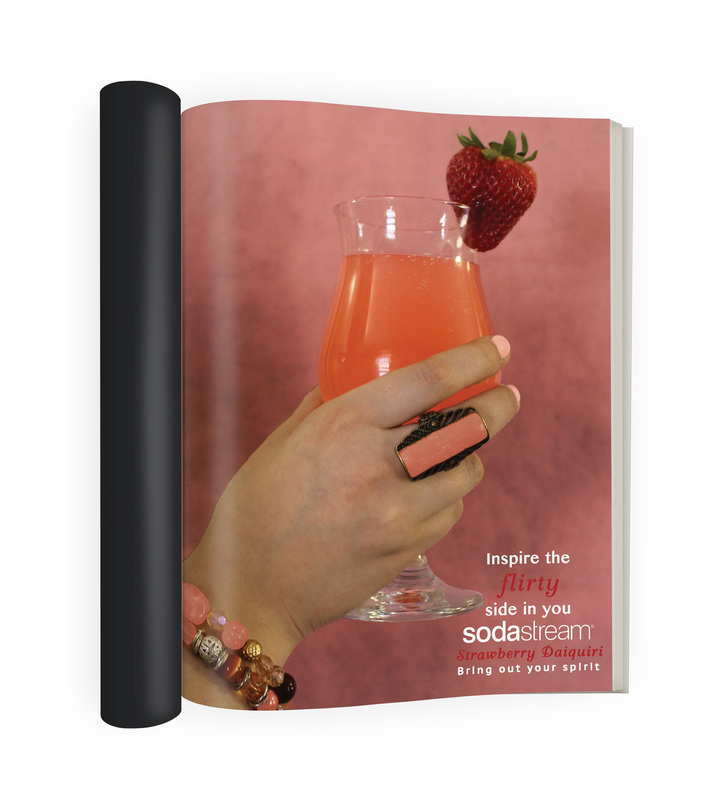 Sodastream provides it’s customers with an easier and healthier way to drink soda at home. 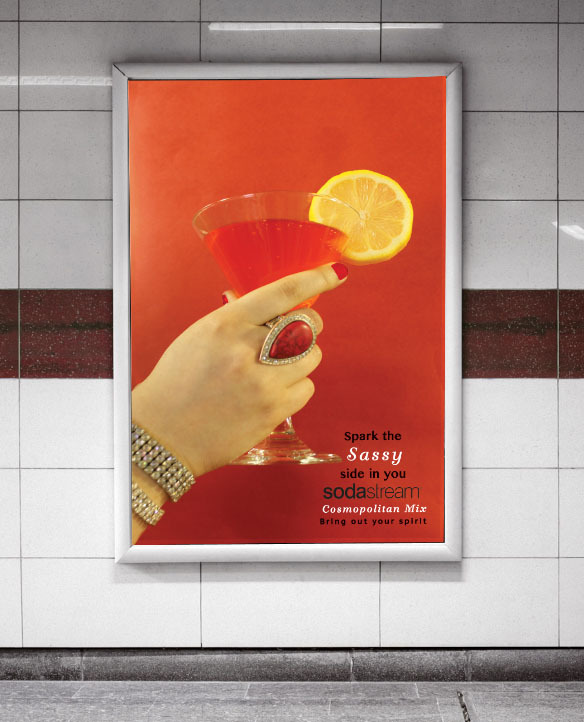 This product campaign focuses on the happy hour syrup line sodastream offers. These four images are each one of the drink options and how it can express a personality inside of whoever is drinking it. the monochromatic color pallete is inspired by the colors of the drinks and carried out through all of the elements in each image.